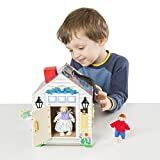 STURDY WOODEN CONSTRUCTION: The Melissa & Doug Child's Take-Along Wooden Doorbell Dollhouse is made from sturdy, high-quality wood and assembled with precision manufacturing standards. 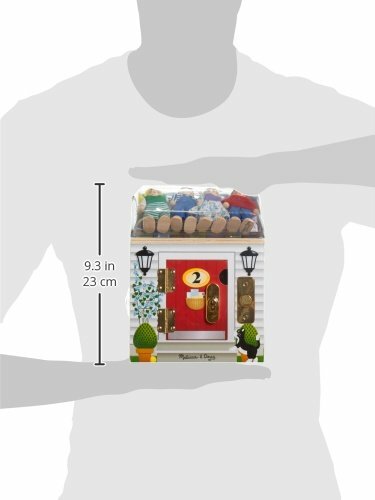 EASY TO TRANSPORT: Our little people house is built with a pair of attached easy-to-carry handles making it a breeze to transport while traveling or visiting relatives. 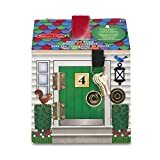 FOUR LOCKS AND KEYS: The Melissa & Doug dollhouse includes four doorbells that ring, four play people, four doors that open on durable hinges and with four lock-and-key pairs. 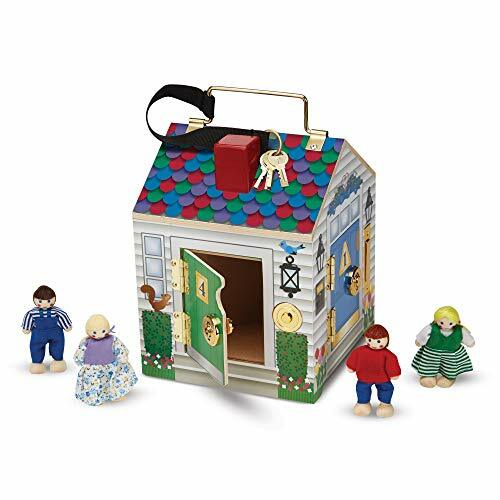 GIFT FOR AGES 3 TO 5: The Take-Along Wooden Doorbell Dollhouse makes a great gift for kids ages 3 to 5. 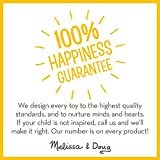 Add the Melissa & Doug Latches Wooden Activity Board to round out the hands-on, screen-free play experience. 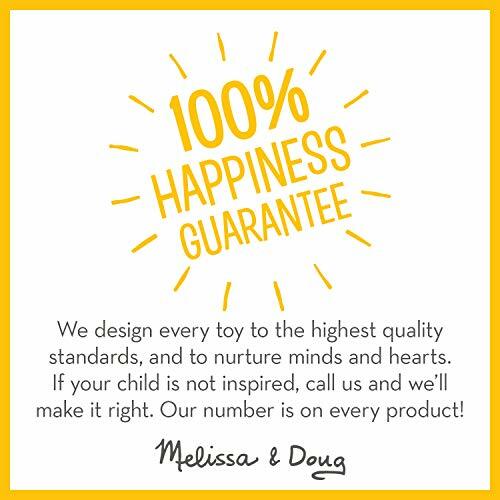 "THE GOLD STANDARD IN CHILDHOOD PLAY": For more than 30 years, Melissa & Doug has created beautifully designed imagination- and creativity-sparking products that NBC News in the US calls "the gold standard in early childhood play." Younger children enjoy pressing each of the 4 door bell buttons, each with their own distinctive ring. 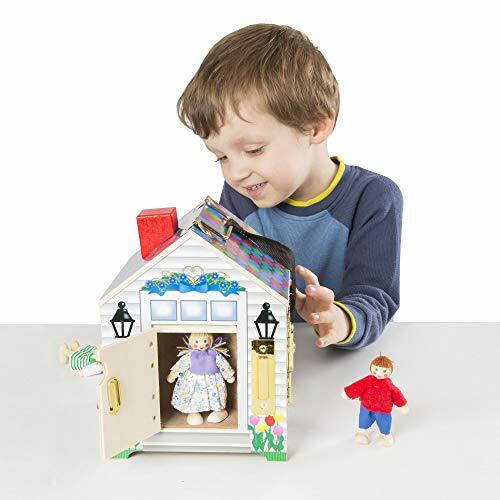 Since the doors of the Melissa & Doug Deluxe Wooden Doorbell House can be left unlocked, the open and close aspect of the doors combined with the "hide and seek" of the included doll house figures offers hours of creative play and motor skill development. 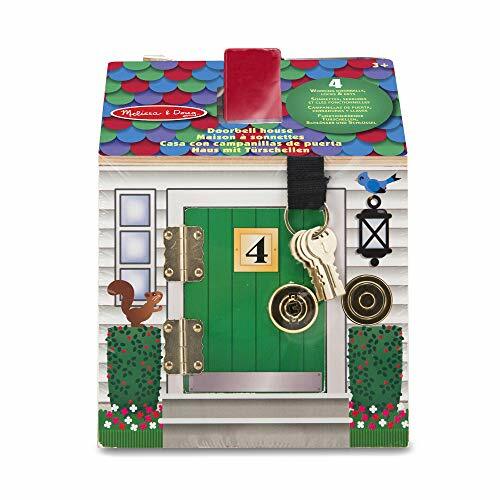 Now add the key recognition (each key and door is numbered) and the shape matching feature of the lock and key and your child now has a most advanced toddler toy that combines advanced motor skills and cognitive processing with fun and play. No assembly required.